Mold growth inside the air conditioner can have dire consequences on your unit over a period of time. You will have to hire an experienced AC replacement service Moreno Valley CA if the mold is allowed to grow unchecked. There are many ways to control or avoid mold growth. Some of these are given below. Excessive moisture in your AC unit is conducive to the growth of mold. As such, you should routinely inspect the system and make sure there isn’t any moisture accumulation, whether it is in the condensate pan, the duct works or other hard-to-reach parts. If porous components like insulation or the air filter become wet, it’s best to get them replaced. Contact a reputed AC replacement service Moreno Valley CA for replacing components and other technical help in maintenance. For wet non-porous components like coils and ducts, clean them using a disinfectant approved for use on HVAC appliances. Remember to wear appropriate protective gear like gloves and eyewear before exposing yourself to the mold. 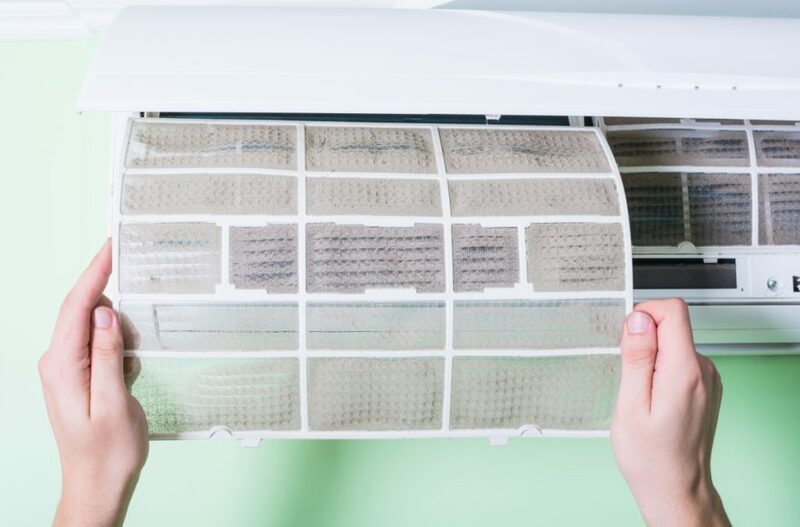 Plus, make sure that you completely dry out and remove the cleaning material applied inside the AC unit. Else when you switch on the air conditioner, the chemicals from the cleaning liquid will start circulating within the room. Clean the system regularly, removing all dust and other pollutant particles. If dust and dirt are allowed to accumulate inside the unit for long periods of time, it will turn into a breeding ground for mold. You can use a vacuum cleaner to do a rough cleaning at first. Then, clean it thoroughly using a cloth and other cleaning materials like EPA-approved mold inhibitors on components to avoid mold formation in the near future. When going on a vacation, people generally keep their air conditioners switched off. This is a common mistake done by many homeowners. The subsequent temperature rise in the closed rooms results in the growth of mold inside the air conditioning system. One way of avoiding this is to ask your neighbor or friend to check-in every now and then and run your AC for a couple of hours. Conducting regular maintenance of the AC unit by an HVAC technician is a must to keep it in optimum working condition and extend its life expectancy. One advantage of such regular check-ups is that the technician will be able to identify potential mold growth scenarios well in advance and can take necessary steps to avoid them. They can also guide you towards properly maintaining a mold-free air conditioning system. If your AC unit has been affected by mold growth and you need to replace parts of the system, contact Aire Tech Air Conditioning & Heating today, the best AC replacement service Moreno Valley CA. Call us on 951-926-1002 for more information on how we get rid of mold in your air conditioning unit. Alternatively, you can also message us online.